Most financial advisors target high-net-worth clients. It is, after all, where the money is. But some advisors find that helping clients with less money can return benefits to them — both in strengthening ties to the next generation and in giving back to the community. The challenge, say advisors, is integrating such clients into existing practices in efficient and affordable ways. Christopher Cannon, an advisor at RetireRight in Pittsburgh, confronted this dilemma when he started working with less-affluent clients a few years ago. “We asked ourselves how we could be stewards of the community by helping anyone that needs financial direction, yet not waste a lot of time and cut into profits,” he says. His firm, which manages $130 million in assets, opted for a two-part fee structure. Wealth-management clients pay a fee on assets under management; planning-only clients — often those just hitting stride in their careers — pay an hourly rate of $250. As a result, RetireRight now has a lower-price, targeted-service option that “helps us help a new area of individuals that could eventually become fantastic wealth-management clients down the road,” says Cannon. Cannon explains that he and his colleagues arrived at the hourly rate after factoring in their expenses, profit goals and the work hours available. Even so, the first hour-long meeting is free, and clients receive a clear estimate for how much time Cannon’s team expects to spend addressing a given problem. “We didn’t expect a whole lot from this channel at first, but it has become a decent source of cash flow,” Cannon tells FA-IQ, citing a goal of eventually generating up to $200,000 in revenues a year from by-the-hour work. Ed Kohlhepp Sr., owner of Doylestown, Penn.-based Kohlhepp Investment Advisors, equates his work helping less-affluent clients with planting seeds. “We see millennials as the future fruit of our business,” he says. But it took awhile to figure out how to integrate that demographic with a firm geared to serve more-established clients. About three years ago, for instance, Kohlhepp’s team adopted a tiered approach to service levels and established an asset minimum for these service bands. The matrix worked — but turning less-affluent clients away and referring them to another firm did not. 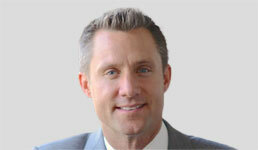 Mark Wilcox is a partner at Beachwood, Ohio-based Stratos Wealth Partners, a firm that manages more than $2.7 billion. He developed a relationship with personal-finance writer Dave Ramsey to garner referrals to “people from all over the map in terms of demographics,” he says. Most are referrals to prospects that aren’t ready to invest but want help with basic financial planning. Wilcox meets with these prospects for free, and offers to be a resource if they have questions down the road. How does this pay off? Well, says Wilcox, a good number of them come back, their financial houses now in better order, to sign on as investing clients. “They are my favorite people to work with, because they are so excited in terms of what they’ve been able to do,” he adds.